Partly edged by the water belonging to the Malacca Strait, the state of Malacca is literally next to the ocean. Protected from all kinds of monsoon, the Straits of Malacca has its share of marine life. This is where Malacca gets its seafood supply to cater to the tastes of its people. With so many seafood restaurants scattered around Malacca, Malaysia Mall recommends 7 best seafood restaurants in Malacca for your next “makan” trip! 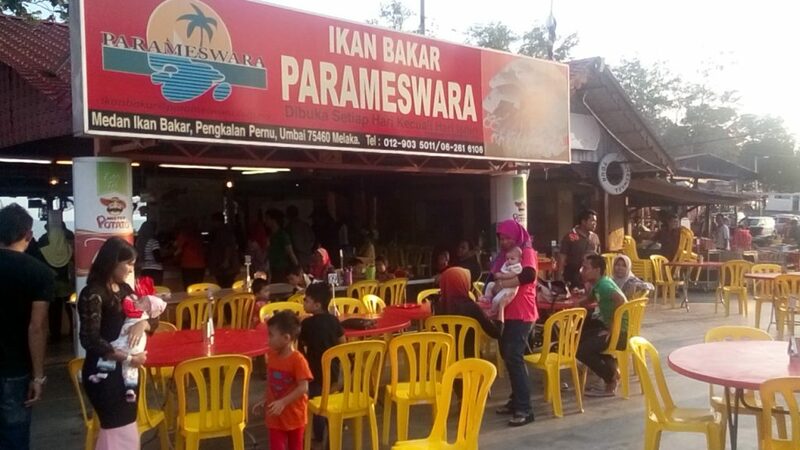 As the name suggests, the Parasmeswara restaurant is famous for its grilled fish (ikan bakar) among other seafood. Ikan Bakar Parameswara isn’t located in the busy Malacca town, but outside of it. It’s in Umbai, a little coastal village about 20 minutes away from Malacca town if you travel by car. Ikan Bakar Parameswara offers a great variety of fresh seafood, ranging from fish and stingrays to shellfish and crabs. Once you get a table, feel free to head to the fresh seafood section, where you can select your own fish, stingray, prawns etc. You also make your orders there, where you can choose how you want your seafood to be cooked. Among the choices are “sweet and sour”, “steamed”, “butter”, “Asam Pedas” and many more, leaving you with so many options to choose from. Their popular dish is the grilled fish (plain or with Sambal), boiled cockles and Sambal stingray. The seafood offered at Ikan Bakar Parameswara are known to be really fresh, with an affordable price too. Address: KM 12, Jalan Pengkalan, Pulau Besar, 75460 Ayer Molek, Melaka. Bert’s Garden Seafood is a restaurant with good ambience which brings a warm and cosy feeling to its patrons. The restaurant, perched above the sea, offers a relaxing atmosphere while guests dine on their range of delectable seafood. Bert’s Garden menu is a fusion of Western and local dishes. Some of the popular local dishes are the grilled fish, otak-otak and nasi lemak. Its grilled fish is cooked to perfection, and its otak-otak is filled with flavours and tastes of the ocean. The Nasi Lemak may be an everyday type of food for Malaysians, but Bert’s Garden goes the extra mile by ensuring that theirs is made perfectly for the locals’ tastes. Its Western menu may not offer a lot, but it can satisfy those who want a little taste of the West with dishes like chicken chop, lamb chop, fish and chips, spaghetti and the like. When you’re inside Bert’s Garden, you can hear soft music playing in the background. Offering a bar-style environment, this place can accommodate large groups with comfortable seating. Overall, it’s a good place to watch the sunset while dining, even though the price may be on the higher end. Address: 2078-C,, Jalan Kampung Pinang B, 76400 Tanjung Kling, Melaka. No plates, just tastes. The Cengkerang Seafood Jumble in Taman Kota Laksamana serves its seafood on the table in the absence of tableware. This is a trending “shell out” way of consuming seafood in Malaysia by using your hands only. Eating with your bare hands can be fun and it will be a different experience for many people. 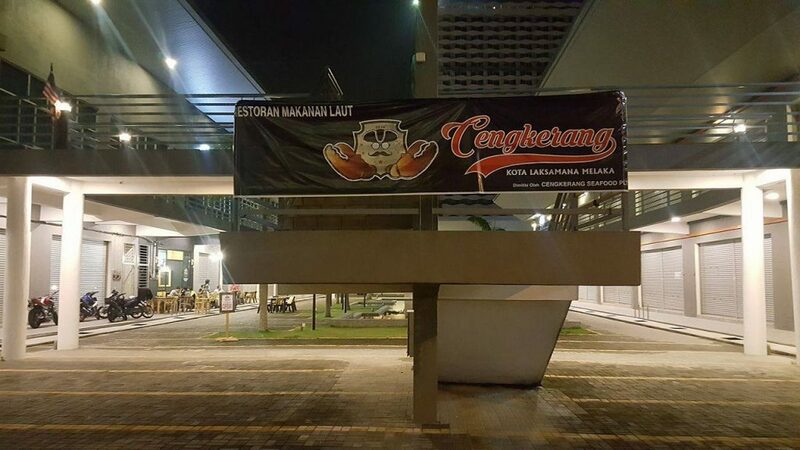 Cengkerang Seafood Jumble offers a variety of local and air-flown seafood at an affordable price for its customers. Its hairy crabs cost RM17 for one, mud crabs cost RM68 per 400g and the Baby Udang Galah cost RM25 per kg. Cengkerang’s fresh seafood that come with a reasonable price explains why it is gradually receiving attention from Malaccans as well as tourists. Complementing the big and fresh seafood, the chefs at Cengkerang can cook up to 9 flavours for lobster dishes, with the most popular one called “Jack & Rose”. You can also pair it with a bottle of 3 Horses Malt Beverage for a great combination. Besides its delicious seafood and attractive prices, Cengkerang Seafood Jumble Restaurant provides a nice environment for its patrons. There are comfortable indoor seating as well as al fresco next to a small pool. What’s better than enjoying yummy seafood in a restaurant with such ambience? Address: No 10, Jalan KLJ 1A, Taman Kota Laksamana Jaya, Melaka, 75250 Malacca. 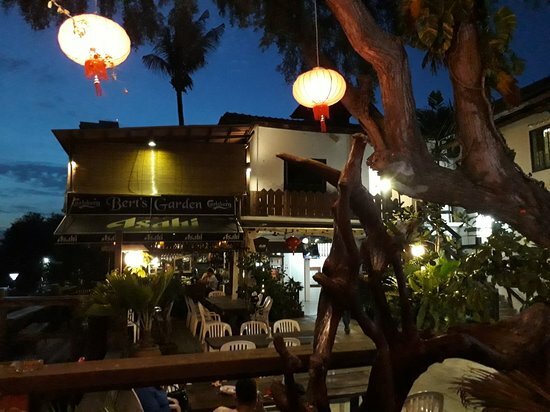 Hidden in a community centre in Perkampungan Portugis in Malacca, Monterios offers delicious seafood cooked in a fusion of Portuguese and Chinese cuisine. Janet and Helen, two of the three sisters who manage Monterios Portuguese Seafood Restaurant, are known to be really friendly when they serve customers who dine there. This adds to the whole dining experience in a place that resembles more of a home than a restaurant. Its cleanliness and tidiness is also well maintained. 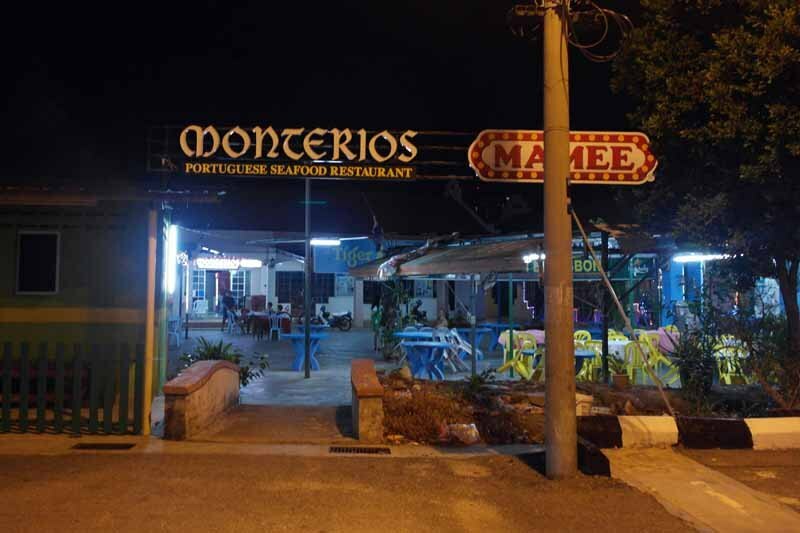 Monterios serves its patrons really delicious seafood ranging from fish to crabs and clams. Some of its popular crustacean dishes are the Butter Prawns, Garlic Ginger Clams and Salted Egg Crabs. The Butter Prawn dish stirs up your appetite when served, with a golden-yellow glow to it. Freshly cooked prawns are covered in the buttery and fragrant sauce, giving flavour to each bite. Portuguese dishes like the Baked Fish with spicy Portuguese sauce and Otak-Otak are also to be noted of. These Portuguese dishes are on the spicy side, so if you like spicy food, these are definitely worth a try. Although the price of food at Monterios may be a little higher compared to other restaurants nearby, it is undeniably good value for money. Address: Perkampungan Portugis, 75050 Malacca. 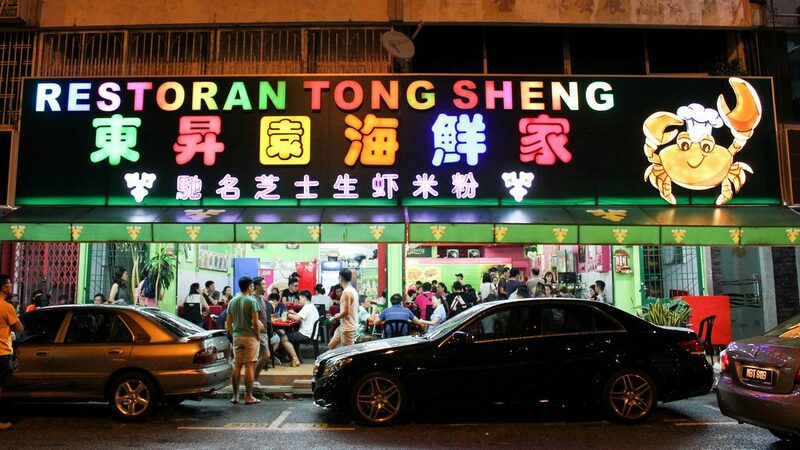 Due to the weekend queue that can last anywhere from 1 to 3 hours, you should visit only when you really crave for Tong Sheng’s food. What attracts most people here is their signature Cheese Prawn Beehoon. It comes as a plate of beehoon (vermicelli noodles), soaked in a milky, cheese gravy that’s cooked with large prawns. Although cheesy, the gravy isn’t too creamy in an overwhelming way. Hence, you can continuously eat it without feeling like it’s too much. With the right amount of saltiness, Tong Sheng’s Cheese Prawn Beehoon has managed to attract many people throughout its years of operation. Tong Sheng Restaurant is also known for their Milk Crab dish, which offers a great taste of tanginess and spiciness contained in its milky base. There is a minimum order quantity of 2 crabs per table and their prices are seasonal. The price for crabs here can be high, but it doesn’t stop the crowd from visiting repeatedly. The Fried Squid With Garlic is also something that you should try. The squid is perfectly crispy on the outside, but utterly soft on the inside. Topped with fried garlic and served with a creamy dip, it works as a good appetiser while waiting for the main dish to arrive. If you’re prepared to queue, it’s best to arrive around 4.30pm so that you can be seated once the restaurant opens at 5.30pm. Address: No. 377 & 378, Taman Melaka Raya, 75000 Melaka. 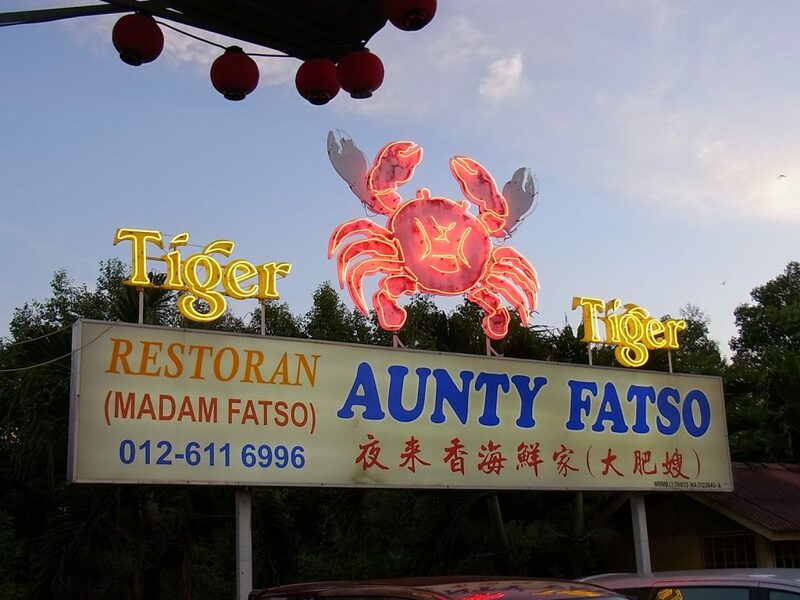 Located in Taman Melaka Raya, Aunty Fatso is a seafood restaurant that serves a great variety of seafood to its local and non-local patrons. Another seafood restaurant that serves Cheese Beehoon With Prawns, Aunty Fatso also has good reviews for this famous dish of theirs. However, that’s not the only popular dish here at Aunty Fatso’s. Their Salted Egg Squid is also a favourite among its repeating customers. Tender and chewy squid coated in a crunchy layer of flour and salted egg yolk mixture, a bite into this will make you wanting more. Aunty Fatso’s Salted Egg Crab, Pepper Crab and Oyster Omelette are seafood dishes that are said to be delicious as well. Not only does Aunty Fatso serve seafood dishes, they offer other non-seafood dishes such as Curry Chicken With Bread Loaf and Tofu With Salted Eggs, which are also very delicious. The curry chicken is served in a big bowl filled almost to the edges with curry, which goes well with the bread loaf dipped into it. On the other hand, the plain white tofu drowned in salted egg yolk sauce is a great combination that Aunty Fatso proudly serves to its customers. Aunty Fatso can be really packed at times, so making an advanced booking is always a safe bet for a table at the restaurant. Address: 39, Jalan klj 1, Taman kota laksamana jaya, 75000 Malacca. How about a seafood dinner, right next to the ocean? The Seafarer is a restaurant on a terrace on the beach, giving you the best experience of dining by the ocean. Restaurant tables are arranged on the terrace, but there are also tables below, right on the sandy beach itself. The Seafarer definitely has the best seaside ambience for a seafood restaurant. The Seafarer does not only offer a great environment, their seafood is known to be scrumptious too. They have various seafood options with different cooking styles, and more than 10 flavours for any fish of your choice. They include Asam Pedas, Cili Garam, steamed, Sweet And Sour, Deep Fried With Ginger, Curry Fish Head and many more. Their Nyonya style steamed fish is a good one, with a flavourful, spicy sauce covering the tender flesh of the fish. The Chilli Crab and Black Pepper Crab are also recommended, suitable for those who have a thing for spicy food. The Seafarer has friendly staff who are there to offer you recommendations, and they are often praised for their quick service. Overall, The Seafarer is a peaceful place to have a yummy seafood dinner, far from the crowd. If you would like to have a seafood dinner away from Malacca Town, then The Seafarer is right for you, requiring just a short 15-minute drive to reach there from the town centre. Address: Masjid Tanjung Kling, 1516, 76400 Batang Tiga, Malacca. 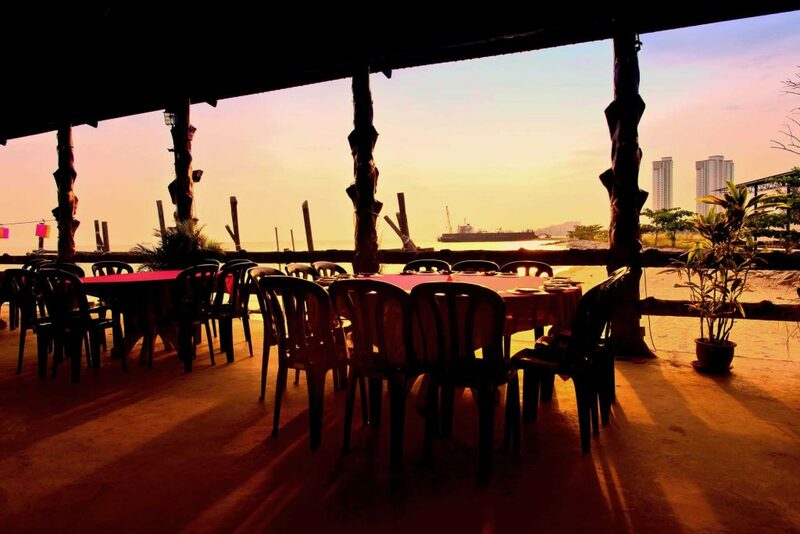 When you come to Malacca, remember to visit the best seafood restaurants in Malacca for an unforgettable experience!